Awesome news and photo. Thanks!!!. So good to see he looks amazing as always and growing tha hair!!!! I even know which bar thanks to IMDB. The name of the bar is in the MLive article linked on this blog page as well as in the IMDB posting. Agree with January 28, 2014 at 3:46 PM -- From what we know, Yorkville and a few other locations we've heard of are short shoots. So while it does seem like a long time, home base is Detroit. 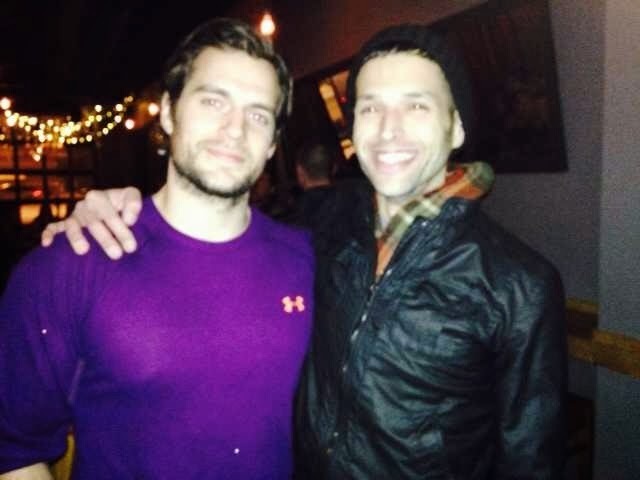 I need to know where Henry was spotted :D I want to get in touch with the fans that have met him. I live in Canada and am planning on flying to detiort for a weekend just for a chance to meet Henry. I am a HUGE fan! Read the 2 references above mentioned. 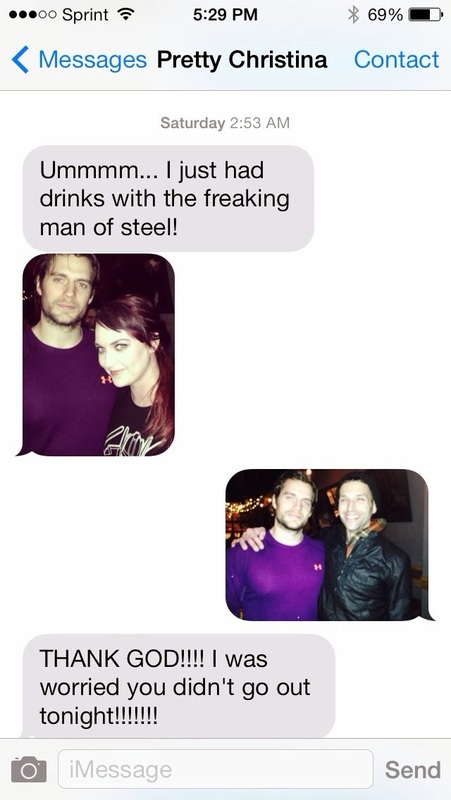 I wonder if this whole bar brawl thing is an arranged incident by Warner Bros. to keep people interested in MOS2? I mean Henry has worked as a bartender for years, by now he should know all different kinds behavior people show. Right? What bar brawl? Haven't heard anything about it. Either way he's human like everyone else. Good to hear! I will keep a lookout for him.